Founded in 1991 by John and Desire Hart. This small boutique winery is located in the Alexander Valley near the town of Asti. The Harts do most of the work from picking to winemaking themselves. The wines are made in very small lots and have garnered considerable recognition. 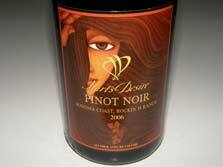 Multiple varieties of wine are produced including a Sonoma Coast Pinot Noir which is quite good. The wines are available for sale on the website and are reasonably priced. The labels are very striking, featuring the art work of Loreta A. Hornall. 707-579-1687. Tasting room at 53 Front St. (Old Roma Station) in Healdsburg shared with Christi Vineyards and J. Keverson Winery. Open Thurs-Mon 11:00-5:00.